A cohesive and aligned Leadership Team is a prerequisite for organisational effectiveness because even the smallest amount of disunity or confusion will be amplified and intensified throughout the organisation. In many organisations, teams and departments find themselves mired in confusion, pulling in different directions simply as a result of receiving mixed messages, or being used as proxy for battles of ego and influence within the Leadership Team. Unfortunately, too often Senior Leaders believe they are doing the right thing by minimising and overlooking these apparently minor disagreements or personality clashes to focus on the bigger picture. High performing Leadership Teams understand the importance of prioritising cohesion and ensuring that they speak with absolute clarity and with once voice. 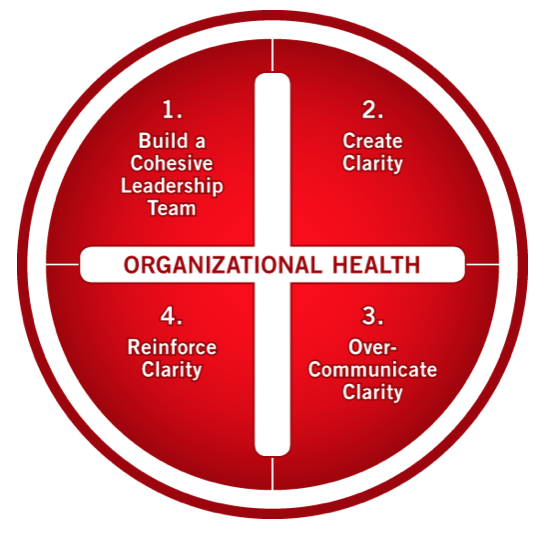 This practice is known as creating Organisational Health, a term coined by Patrick Lencioni in his book, The Advantage. We work with Leadership Teams to support them in their journey towards Organisational Health with a high impact, Team Development Programme. The process usually begins with a two-day offsite, followed up with quarterly one-day workshops to ensure that the Leadership Team is truly embedding the principles of Organisational Health.